Accent your display with LIGHT and shadowWhen you light something brilliantly and cast its surroundings in shadow, you force attention onto the lit item in a dramatic and powerful way. 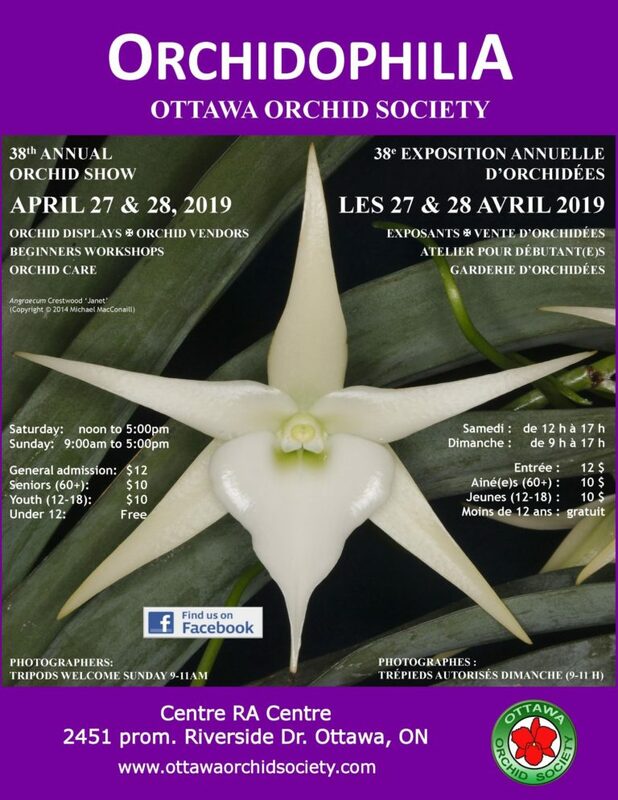 The best practice is to use both light and shadow to make a display item “pop.”Lighting is very seldom discussed for orchid displays but should be a key element in enhancing your display. That tiny Masdevallia comes to life at the end of the branch when light hits it and would have been unnoticeable otherwise and light can really make that red orchid flower ‘pop’!The old style pole light stands with pivoting lights are versatile or clip on lights. Remember to keep the stands to the side so as not to become a hazard to the judges or public. Add FILLER – green plants may be used but ensure that it does not overwhelm the orchids or create a ‘busy’ look. Green moss allows the orchids to stand out. Beware of variegated foliage. It can be frowned upon as a distraction in some regions. A super article by Greg Allikas on his website, Orchid Works, goes into great detail, covers many areas, with easy to follow guides and photo examples. We highly recommend it! 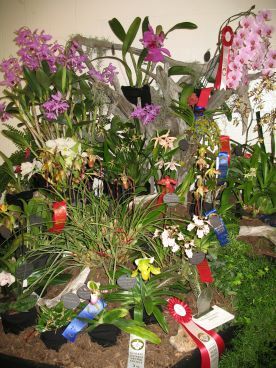 The Mid-America Orchid Congress maintains several documents used for orchid judging: Orchid Classification, Intergeneric Cross Reference, and the MAOC Show Schedule found at MAOC Judging Documents.